ITV has launched a major new brand campaign, to celebrate a rich, forthcoming schedule of drama series across the ITV network. 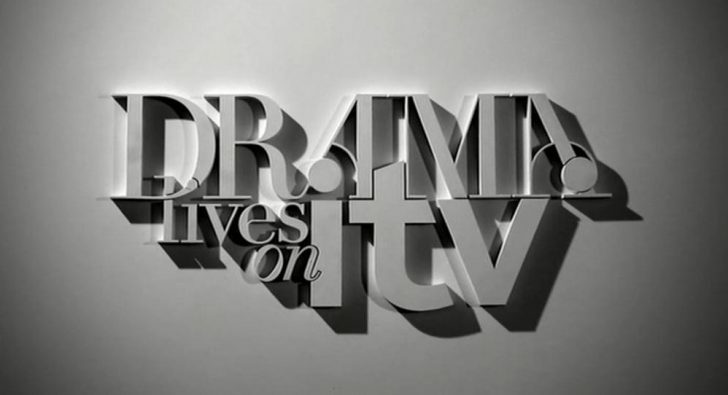 The ‘Drama Lives on ITV’ promo includes exerts of over 10 new and returning dramas commissioned by ITV Director of Drama, Laura Mackie, and ITV Controller of Drama, Sally Haynes. On Saturday 18 August, programme specific promos aired throughout the night on ITV1, including a first look at the third series of Downton Abbey. “We have a really strong and diverse line-up of drama coming to ITV over the forthcoming months,” said ITV Director of Drama, Laura Mackie. Mrs Biggs – Sheridan Smith plays the title role of Charmian Biggs, with Daniel Mays assuming the role of Ronnie Biggs in the five-part series from ITV Studios. Written by Jeff Pope (Executive Producer – Appropriate Adult, Mo), Mrs Biggs tells the story of Charmian’s life with Ron before, during and after his involvement in the Great Train Robbery. The Bletchley Circle – BAFTA award winner Anna Maxwell Martin stars alongside Rachael Stirling, Sophie Rundle and Julie Graham in this compelling new three-part thriller from World Productions. The drama focuses on four women, each with unique intelligence gathering skills, who worked at Bletchley Park during World War II. They unite post War with the aim of tracking down a murderer. Downton Abbey series 3 – The third series, set in 1920, sees the return of the much-loved characters and the arrival of Shirley MacLaine as Cora’s mother, Martha Levinson who sweeps into Downton Abbey causing a stir above and below stairs. Homefront – Claire Skinner, Clare Higgins, Nicola Stephenson and Antonia Thomas are the military wives and girlfriends in this ITV Studios new contemporary drama series about the women who fight the battles on the ‘homefront’ whilst their men are in Afghanistan risking their lives. The Last Weekend – Rupert Penry-Jones and Shaun Evans star in Mick Ford’s adaptation of Blake Morrison’s best-selling suspense thriller about two friends whose competitiveness reaches extreme heights over an August Bank Holiday weekend. Leaving – Three-part drama starring Helen McCrory and newcomer Callum Turner about a woman who falls in love with a much younger man and the implications of that relationship for their families and how it effects them at work. Leaving is produced by Red Production Company and written and created by acclaimed screenwriter Tony Marchant. Monroe – Medical drama starring James Nesbitt returns to ITV1 with a strong ensemble cast including Sarah Parish, Tom Riley, Christina Chong, Michelle Asante, Luke Allen-Gale and Andrew Gower. For this new series the cast are joined by Tracy-Ann Oberman, Neil Pearson and Lisa Millet. Created by BAFTA award winning writer Peter Bowker and produced by Mammoth Screen. A Mother’s Son – Hermione Norris, Martin Clunes, Paul McGann and Alexander Arnold star in this two part drama from ITV Studios about a mother who suspects her son may have murdered a school friend. Are her suspicions misplaced? The Scapegoat – An adaptation of Daphne Du Maurier’s classic novel, starring Matthew Rhys, Sheridan Smith, Eileen Atkins, Jodhi May and Andrew Scott. The Scapegoat tells the story of two very different men – John Standing and Johnny Spence – who are doppelgangers. They meet by chance each at a crossroads in their life and after an alcohol fuelled night John finds himself sucked into another man’s life. An Island Pictures Production written and directed by Charles Sturridge. Mr Selfridge – A stellar ensemble cast including Jeremy Piven, Katherine Kelly, Frances O’Connor, Zoe Tapper, Gregory Fitoussi, Amanda Abbington, Samuel West and Aisling Loftus star in this new series penned by multi award winning writer Andrew Davies. Mr Selfridge is based on the life of the flamboyant and visionary American entrepreneur, Harry Gordon Selfridge and is produced by ITV Studios. Switch – Take four girls, add some flirting, stir in a quantity of heady rebelliousness, a pinch of risk-taking, several spoonfuls of true friendship and Stella, Jude, Grace and Hannah are born. Four young twenty somethings based in London’s Camden Town who just happen to be witches!